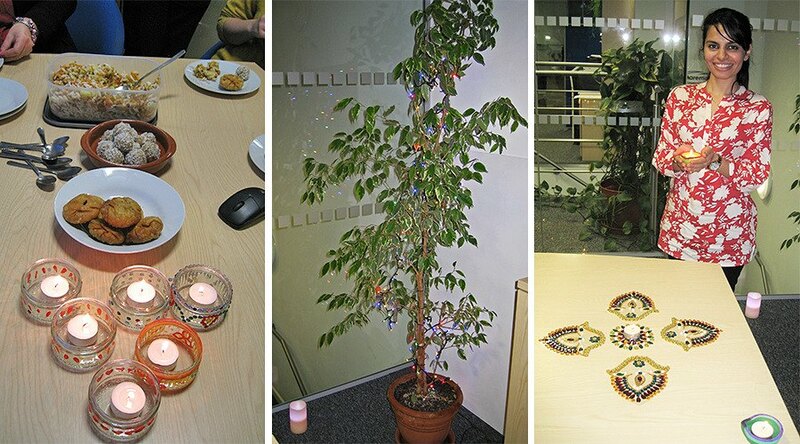 Diwali Festival of Light celebrated at head office! It’s not often an office has the opportunity to decorate a meeting room with beautiful coloured lights, candles and twinkling decorations, but this year the team at head office had the opportunity to do just that when they ‘got creative’ to mark Diwali for their Hindu colleague. 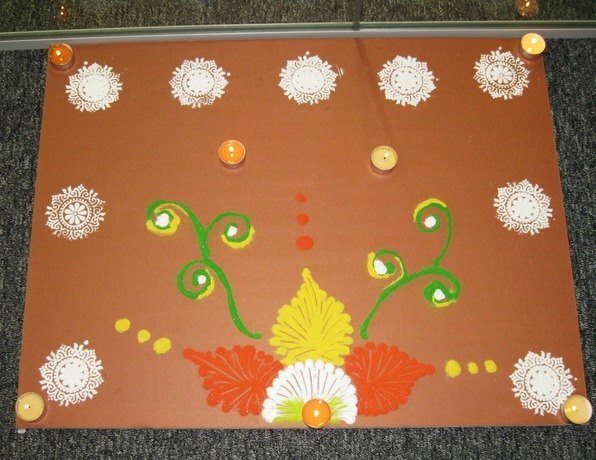 Diwali, which means ‘row of lamps’, takes place every October or November each year. It is actually a five day festival with the main day this year being the 7th, with two days of celebration either side. However, with most of the team being present on the 10th, it was the ideal day for everyone to join Shweta Mahendru in her celebration of this special Festival. Shweta prepared and brought in a selection of traditional foods which are enjoyed during this celebration and explained to her colleagues the meaning and traditions behind the Festival. Like other religious events, e.g. Easter and Lent for Christians and Eid for Muslims, the date changes each year. For Hindus, Diwali occurs around a particular phase of the moon. The third day of the festival, the main night of Diwali, takes place on the darkest night of the lunar month when there is a new moon. Whilst Diwali means or represents slightly different things to different faith groups, in general terms it marks the victory of light over darkness, right over wrong, good over evil and knowledge over ignorance.